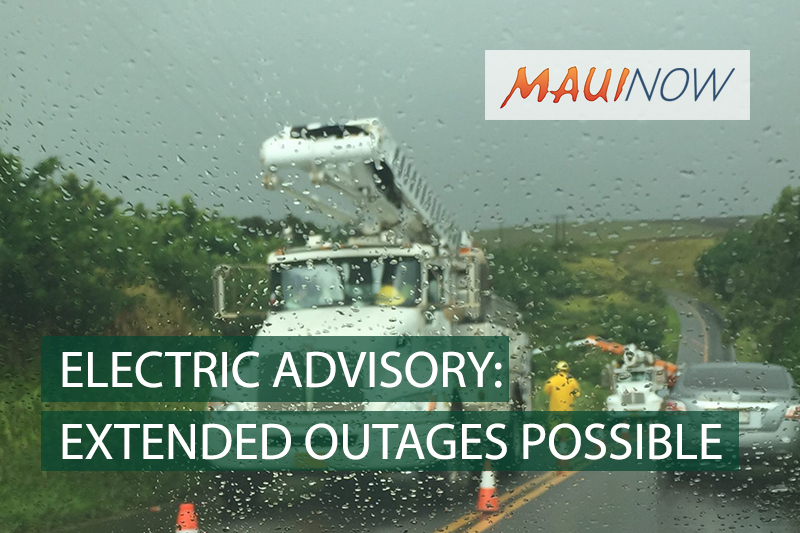 · Maui Electric, Hawaiian Electric, and Hawaiʻi Electric Light continue to monitor Hurricane Lane and prepare as the storm impacts the companies’ five-island service territory. · The strength and intensity of Lane will likely trigger power outages. Customers should plan ahead for the possibility of extended outages. · The companies are assigning and pre-positioning workers and equipment as needed. · Utilities have processes in place to restore power to customers as quickly and as safely as possible. Maui Electric, Hawaiian Electric, and Hawaiʻi Electric Light are moving crews and equipment where needed as Hurricane Lane approaches the islands, and want customers to know they should prepare for storm-related power outages. The companies are closely monitoring Hurricane Lane’s movement in order to stage crews in areas most likely to be affected. 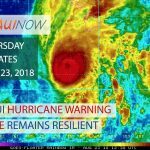 Hawaiʻi Island and Maui County are currently under a hurricane warning while Oʻahu is under a hurricane watch. There are no scheduled or planned outages at this time. In the event of outages, repair crews will be dispatched only after the storm has passed and when conditions are safe to do so. During storms, wind gusts can cause tree branches or fronds to break loose and come into contact with our lines. Falling trees could also hit a pole or more likely, an overhead line, knocking the line down or causing the pole to lean, resulting in an outage or requiring electricity to be cut off until the pole or overhead line are safely repaired or replaced. Watch for downed power lines. 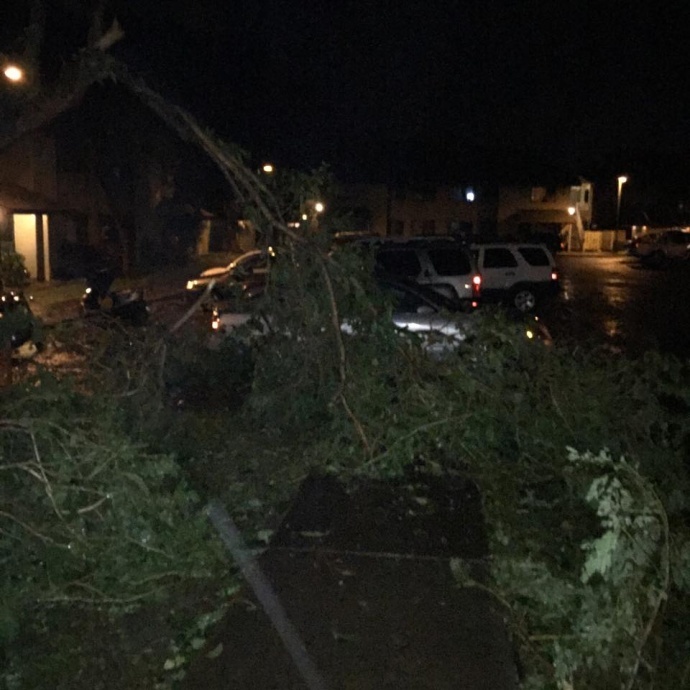 Stay at least 30 feet away (about two car lengths) from downed power lines as they may have electricity running through them and may be dangerous. If you see someone injured after touching a downed power line, call 9-1-1 for help; don’t try to rescue the individual. 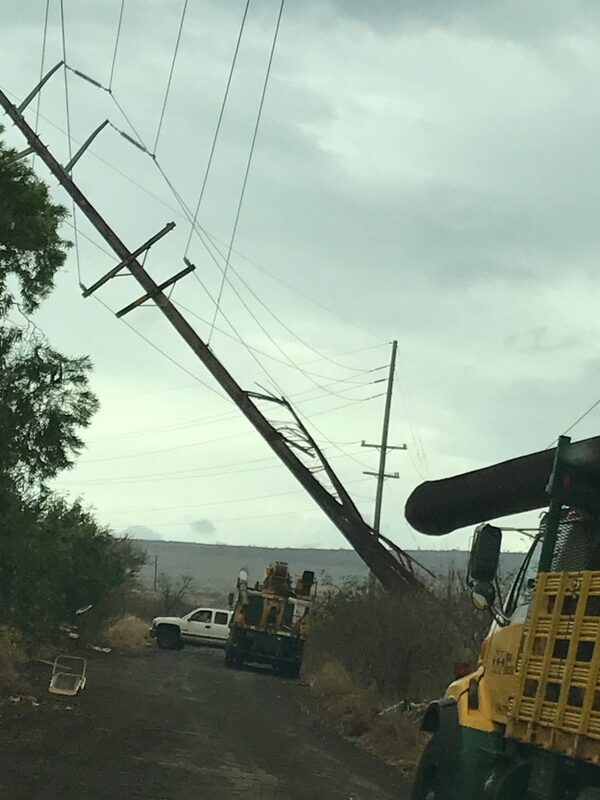 To report downed power lines or outages, call Maui Electric’s trouble line at Maui 871-7777 or toll-free for Lānaʻi or Molokaʻi toll free at 1-877-871-8461. After the storm has passed, the companies will keep customers informed about progress throughout the restoration effort. Additionally, broad estimates apply to the total number of customers affected, rather than to individual households and businesses. More electrical safety and preparation tips are available in the companies’ Handbook for Emergency Preparedness, available in five languages, at www.mauielectric.com/prepare. 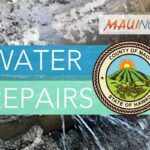 Follow the companies on their social media channels for updates: Facebook – The Hawaiian Electric Companies; Instagram – The Hawaiian Electric Companies and Twitter – Maui Electric: @mauielectric.